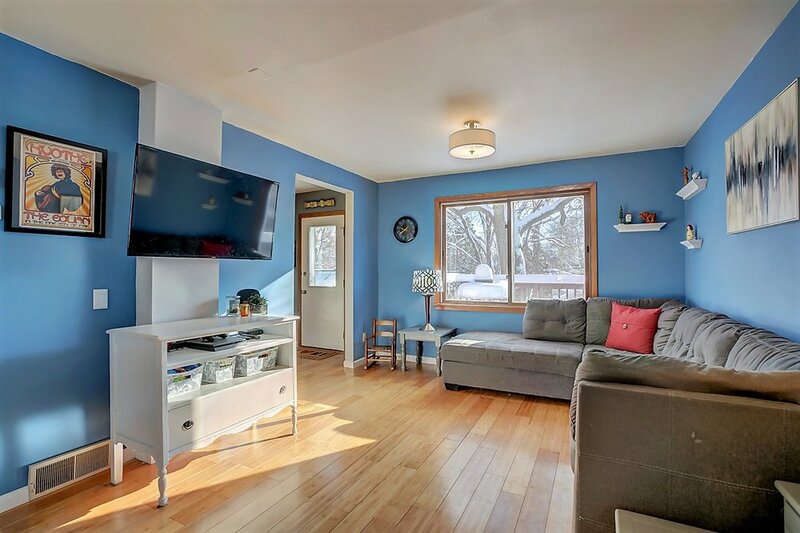 Convenient to downtown for under $200K! 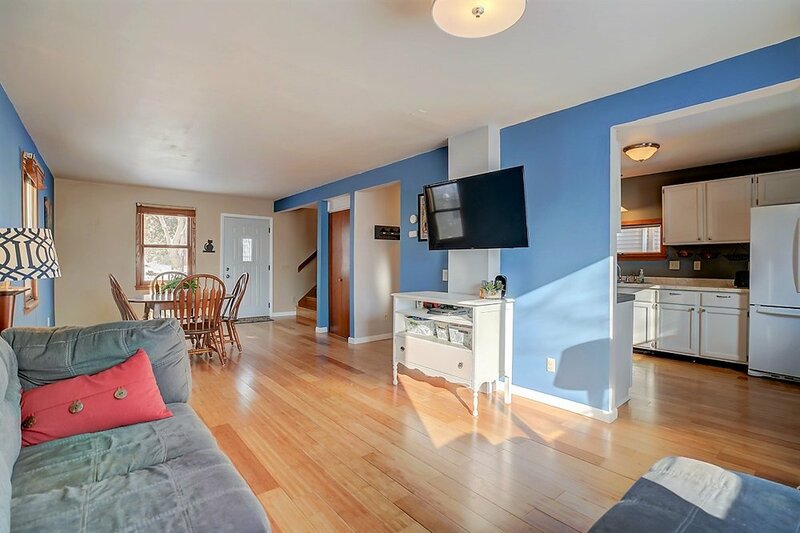 This 3bd/2bth two-story nestled in the heart of the thriving northside, while providing easy access to downtown and the north and east suburbs. Setting: Terry and Kris have their weekly coffee date at a downtown cafe. Terry (encouragingly): Sure you will! Terry opens a laptop, and types briefly. Terry (looking at the screen): Seriously, you totally can. Terry: What about this one? It’s under $200K. Kris sadly crumbles a half-eaten--and a little dry--gluten-free orange raisin scone. Kris: I bet it needs a lot of work. Terry: Was built in 1993. 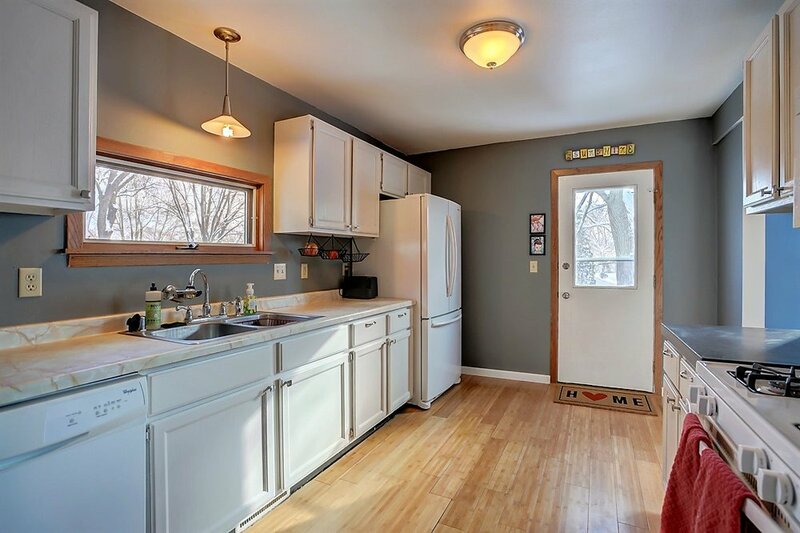 Has a new front porch, new hardwood floors, most of the appliances are just a few years old...pictures look great. 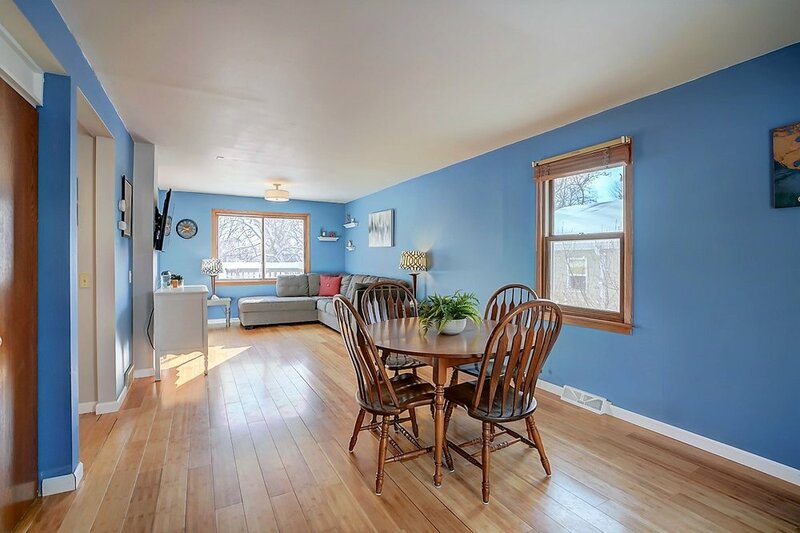 Terry: 3 bedrooms, 2 baths, dining area….over 1200 sq ft.
Kris (intrigued, but still unconvinced): But I bet it’s like FAR northside...like a 30-40 minute commute by car. Terry: Nope...10 minutes by car to the Capital, 20 by bike according to Google Maps, and like a 3 minute walk to the North Transfer Point, if you want to bus it. Kris: Let me see that. Terry turns the laptop towards Kris, who reads the listing, face brightening. Kris: Huh...but isn’t the northside a little...boring? Kris: Okay, okay! You win! Is there an open house? Terry: Saturday January 23 from 12-2. Kris: Guess I better get my pre-approval letter ready! Commuting daily? You’ll be a short drive to downtown, the far eastside, Sun Prairie, UW campus, or Madison College. Or take a short walk down to the North Transfer Point and take Madison Metro across the city. The Dane County Regional Airport is only a short drive as well! You’ll be close to schools and shopping, with Sherman Middle School, Malcolm Shabazz High School, and the Willy St. Coop just blocks away. Or hop on your bike and head to The Duck Pond, Willy St. Coop North, Bierock, Ale Asylum, Manna Cafe, Bear and Bottle, Kavanaugh’s Esquire Club, Cafe la Bellitalia, Villa Tap, or Beef Butter BBQ.